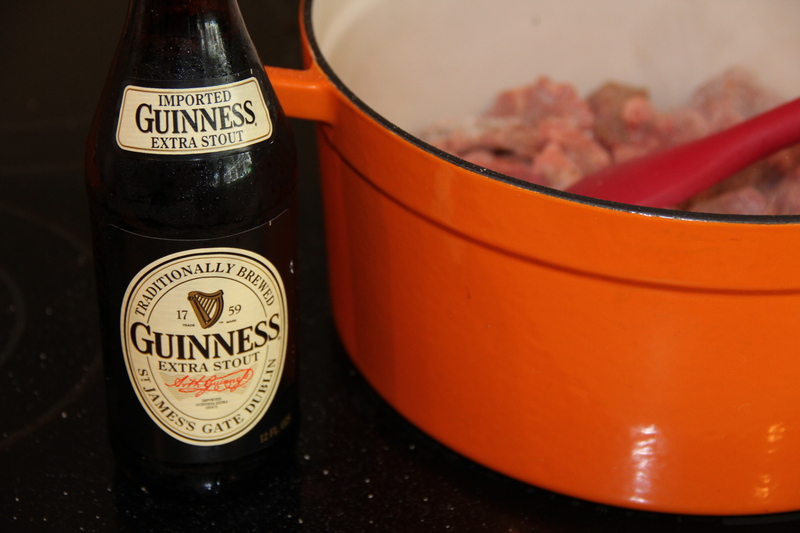 I myself love Corned Beef and Cabbage , well if it’s cooked the right way, but I know many people who do not. 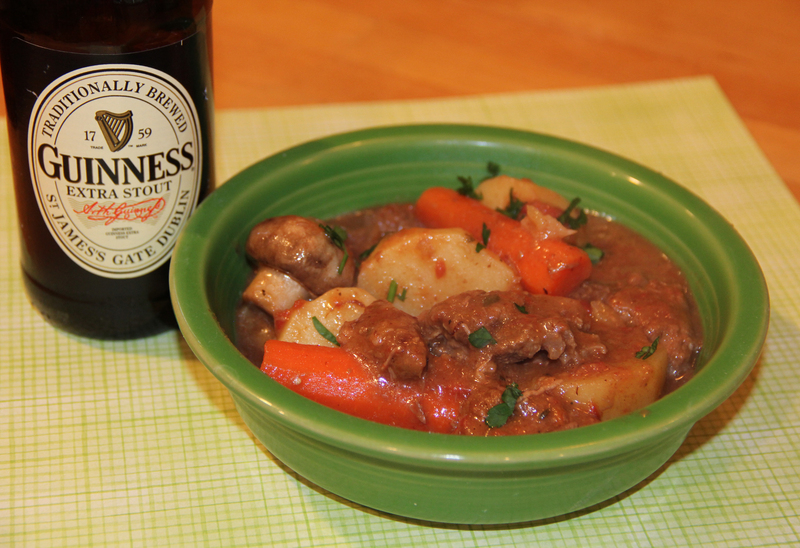 So if you are planning a St. Patrick’s Day celebration and want to veer slightly from the traditional, give this recipe a try. 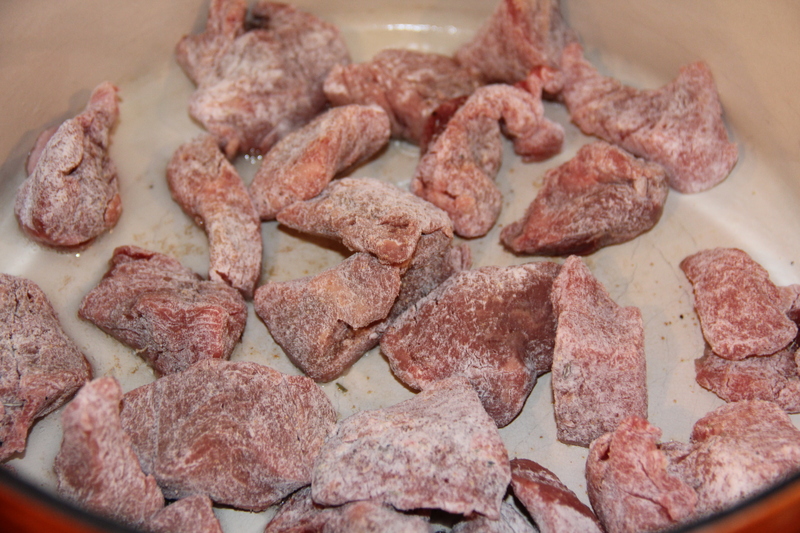 Add flour, garlic powder, salt, pepper and thyme to a large ziplock bag, add meat and shake until well coated. 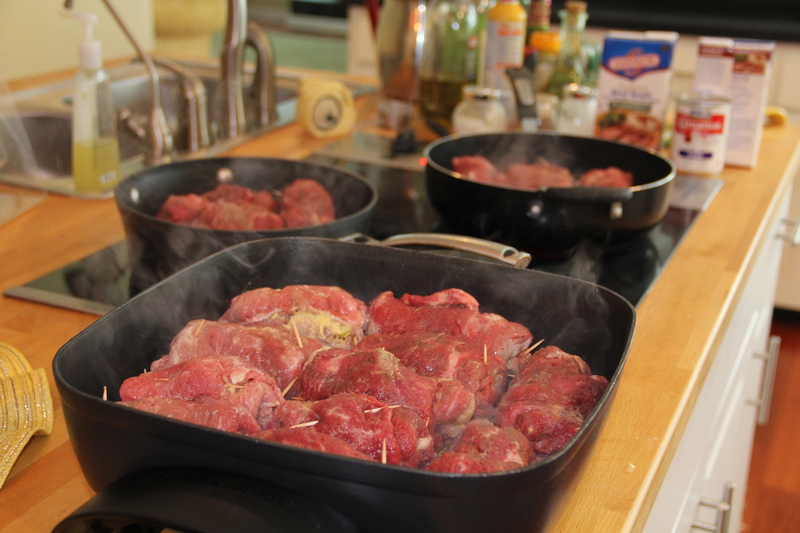 Heat oil in a large pot, add meat and onion sauté until browned. add garlic and saute 1 minute. 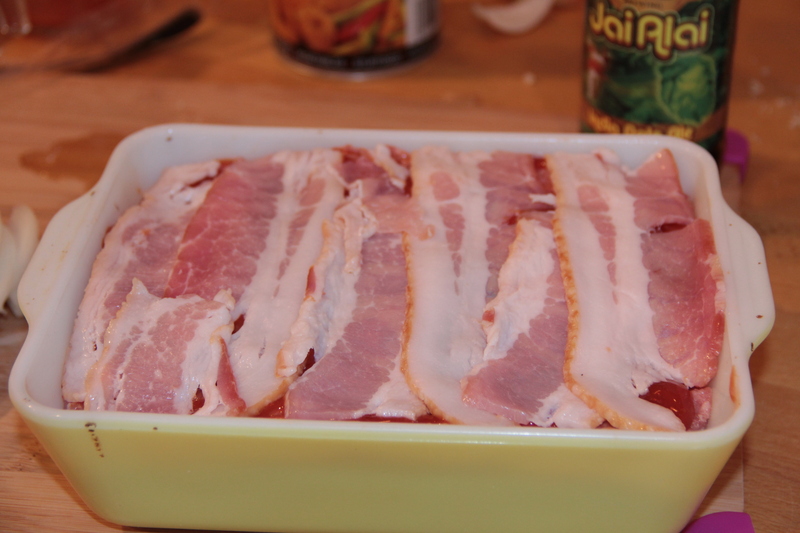 Add beer, tomatoes, mustard, brown sugar and broth. 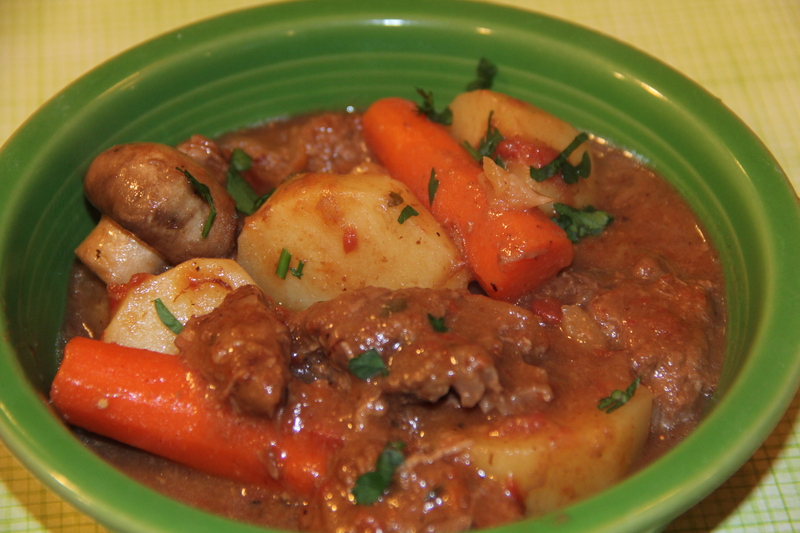 Cover and simmer 45 minutes, add potatoes and carrots and cook 45 minutes more. Add mushrooms and cook 10 more minutes. Add salt and pepper to taste. My husband and I went to Iceland last month for our 20th anniversary trip. I had seeing the Northern Lights on my bucket list and Iceland seemed way more romantic and fun than the other places we could see them. As the trip grew nearer I was getting more and more excited. Iceland seemed like such a cool country, every time I googled there was something new I wanted to see when we got there. 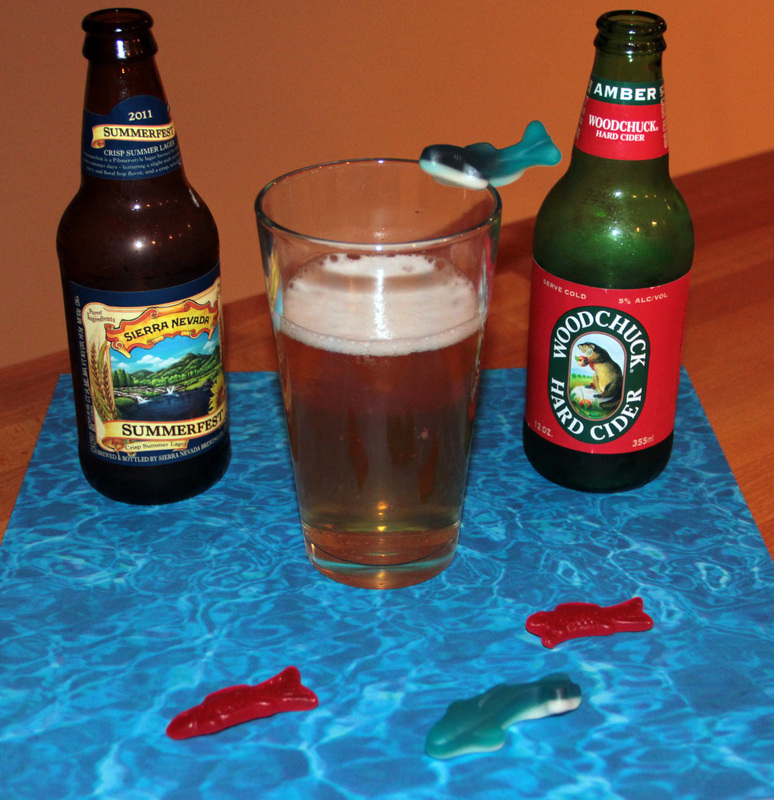 There was one exception, the beer, in particular my hoppy IPA’s . I saw they had some european imports and some local breweries but where were my hops? I was worried I would find a lot of dark malty beers and Belgium style yeasty ales or worse American imports like Bud Light, after all beer has only been allowed in Iceland since 1989, they have a lot of catching up to do. At the first restaurant we went to, we asked for an IPA but none of the bartenders or servers seemed to know what that was, so we ordered a couple local beers on tap, Gull and Viking. Oh no it’s true, Bud copy cats. Both watery and not much flavor except fizz. They had Guinness in a bottle and I thought that was my fate for the next 3 days. The next day we went sight seeing and ended up at Strokkur Geysir around lunch time. 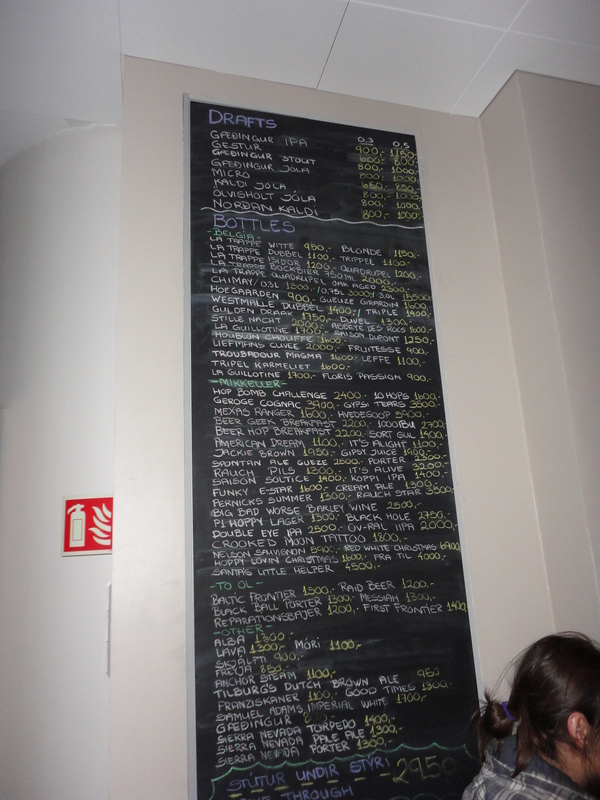 They had a cute cafe with a buffet of authentic Icelandic fare. It was cafeteria style and there were coolers of beer and wine that you could go up and chose from, imagine my excitement when I saw India Pale Ale on one of the bottles. 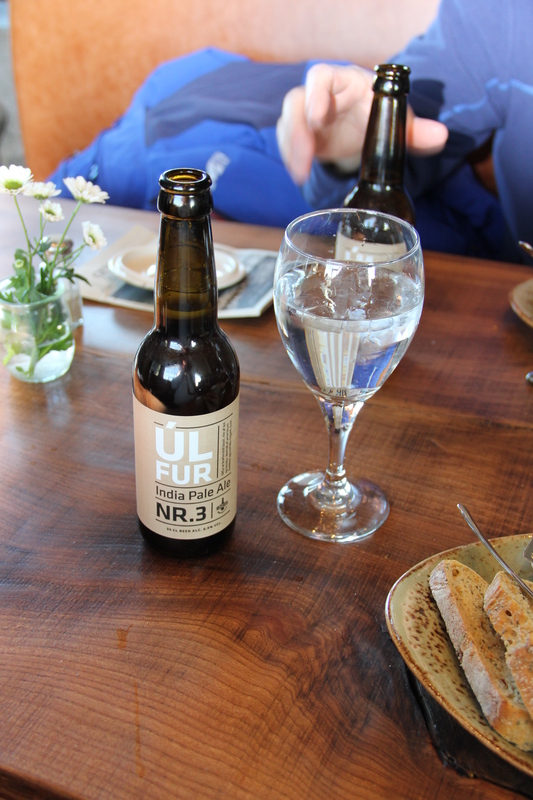 It was the UL Fur brewed right there in Iceland. Guess what it was delicious, nice and hoppy like an American IPA, hints of grapefruit which I love, very balanced and only 5.9% ABV (dare I say a sessionable IPA,why can’t we do that in the US). Well now that we knew what we were doing, we found that most places carried this beer they just didn’t know what an IPA was, luckily we now knew what the label looked like and could point when we ordered. If they brewed IPA’s in Iceland though, someone somewhere must know about beer. Its now day 2 of the trip, I have seen the Northern Lights, so my new bucket list item is find a craft beer bar in Iceland. 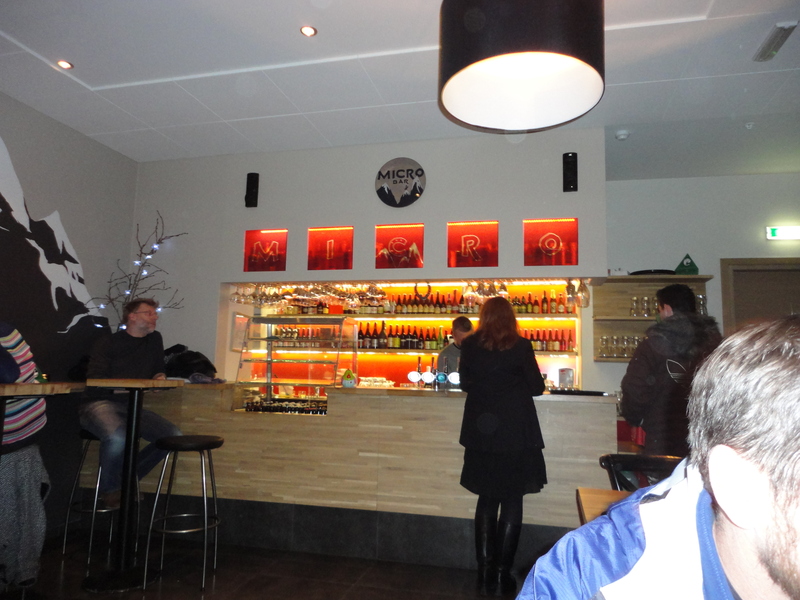 Thank god for smart phones, my husband checked ratebeer.com and found a new highly rated beer bar called Micro Bar while we were walking around Reykjavik. As luck would have it we happened to be on the same street it was located on, and in the same block. Ok we even walked by it a couple of times until we realized it was in the lobby of The City Center Hotel. I believe there were about 8 taps and tons of bottled beer. 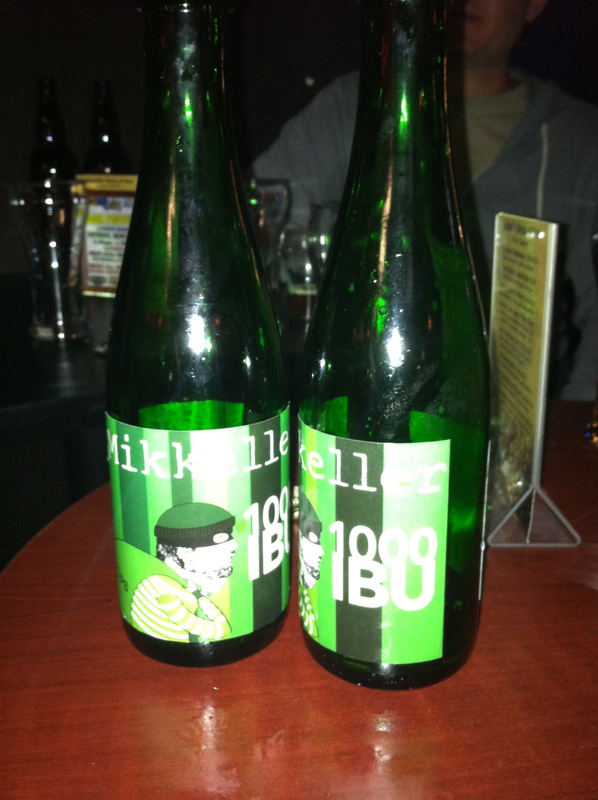 They had an extensive Mikkeller selection as well as European and American Craft Beer Imports. 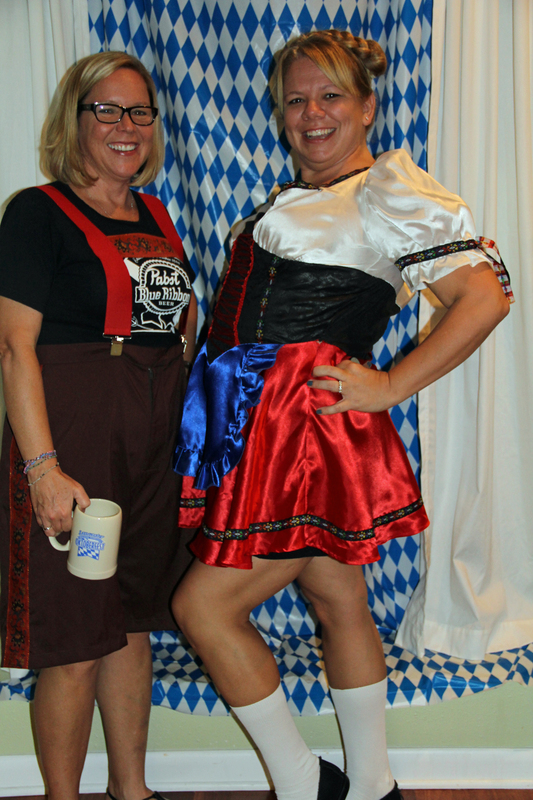 Staff was very knowledgeable and friendly and matched us up perfectly to the right beers. So know before you go, there is good beer in Iceland you just have to know what to look for and where to find it. 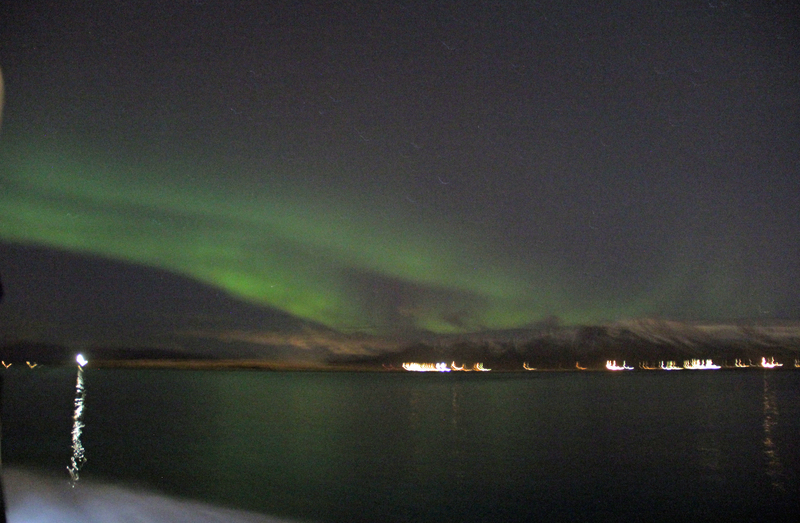 Oh and I did see the Northern Lights, they were fantastic as well. 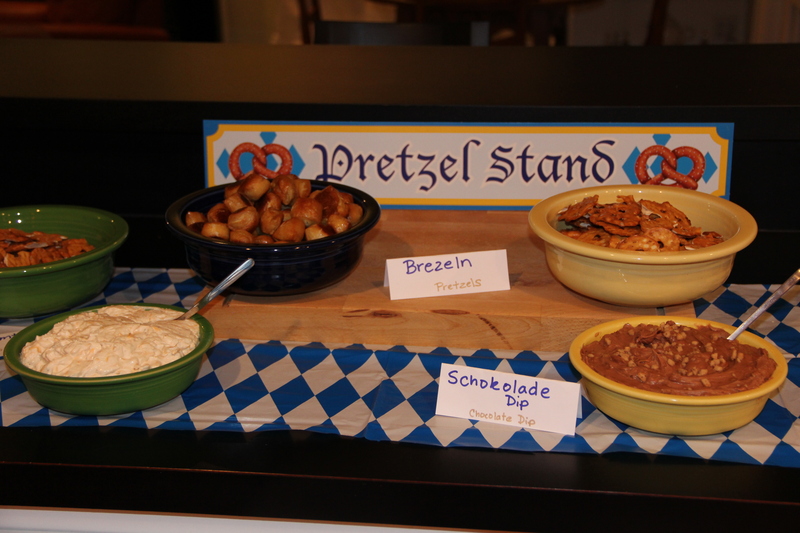 I love pretzels and cheese fondue, ok I love cheese fondue with everything. I would eat cheese fondue for dinner every night but let’s admit it that is really an appetizer. 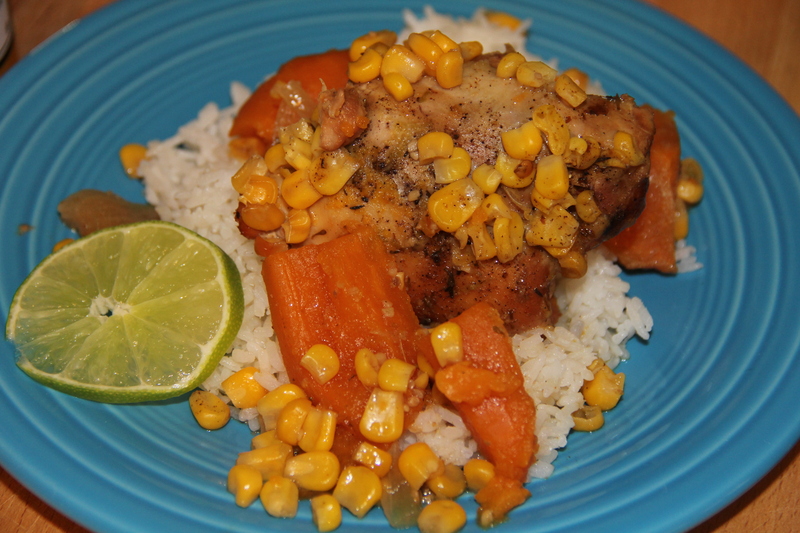 So how to make it into a real dinner….. 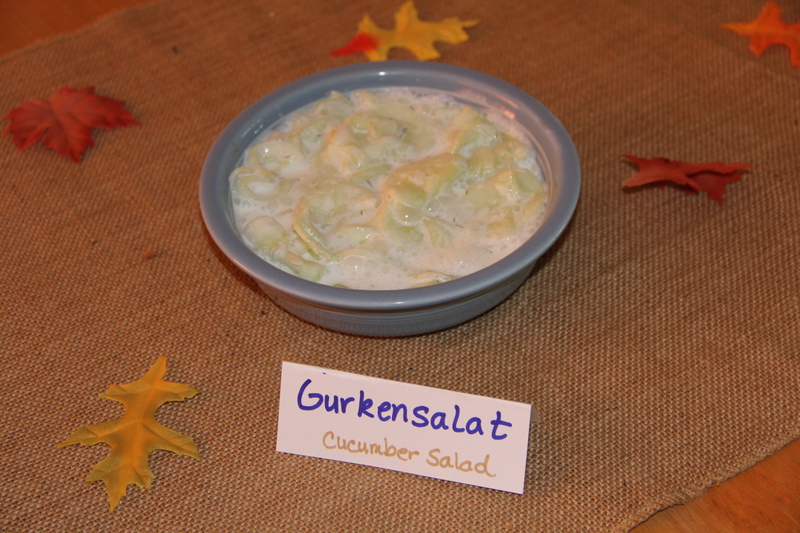 I will put it on a sandwich, and add some healthier things and hey, its dinner. 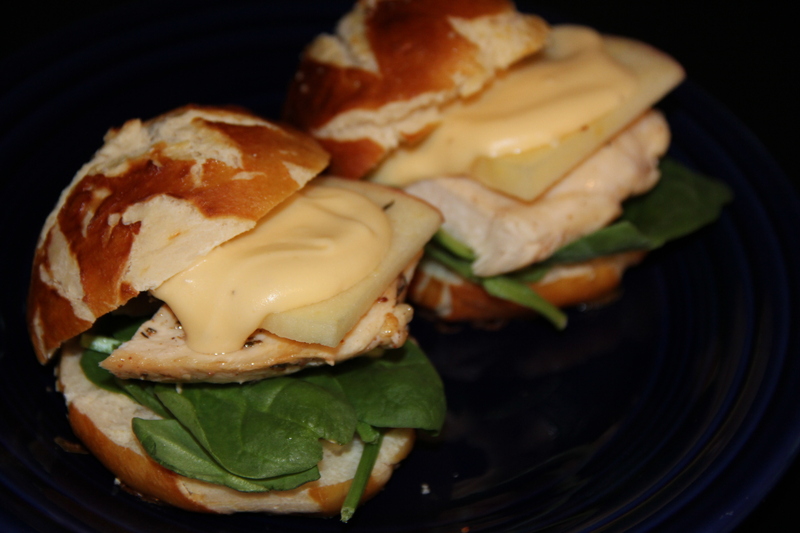 So I put fondue, chicken, apples, and spinach on a pretzel roll and voila dinner is served. 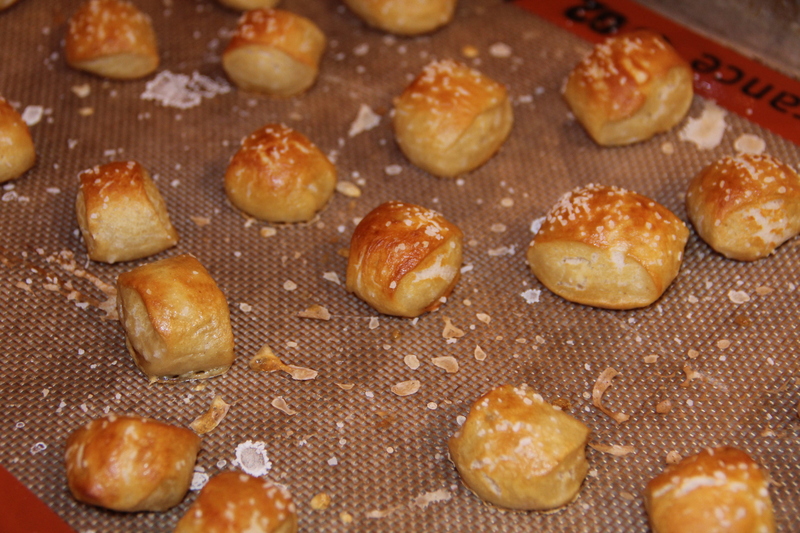 I made my own pretzel rolls because I like to set myself up to fail. I am not a baker, in fact I hate it and I am not very good at it either. I had to make a second batch because the first batch looked like a dog had chewed on all my rolls. 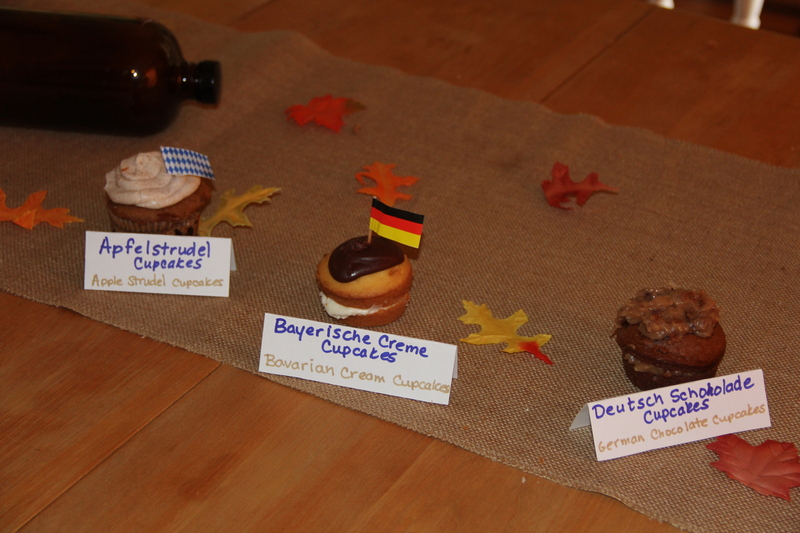 The second batch was slightly better and tasted great but from now on these will be an item I get from my bakery. 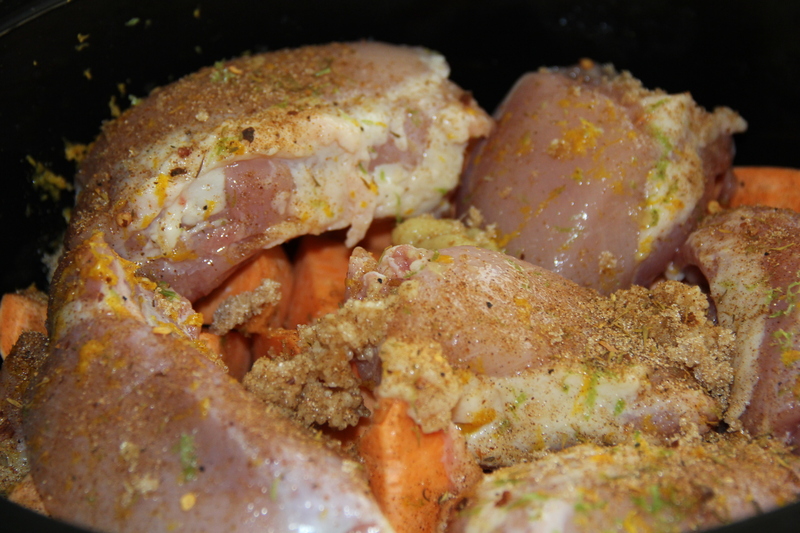 Sprinkle the chicken cutlets with the thyme and nutmeg. 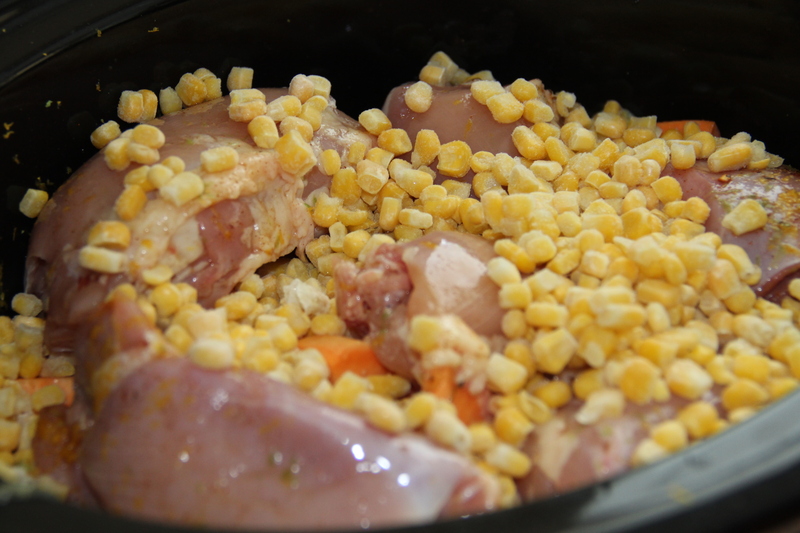 Heat oil in a skillet and cook chicken for about 3 minutes per side, or until cooked through and no longer pink. Cover with foil and set aside. 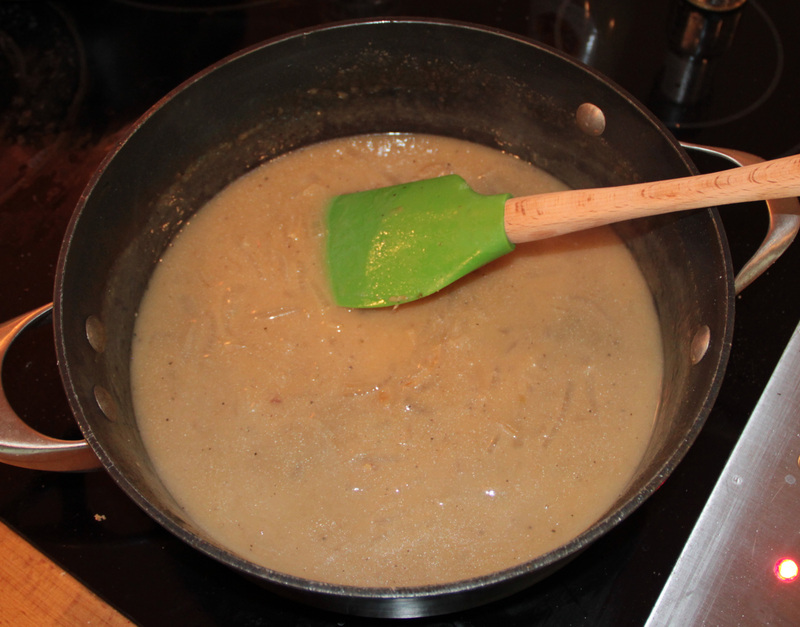 Add garlic and wine/beer/water to a small sauce pan, bring to a boil and reduce to a simmer. Toss flour with shredded cheese to coat, add to sauce pan with goat cheese and whisk over med.heat until melted and well combined, turn heat to low. 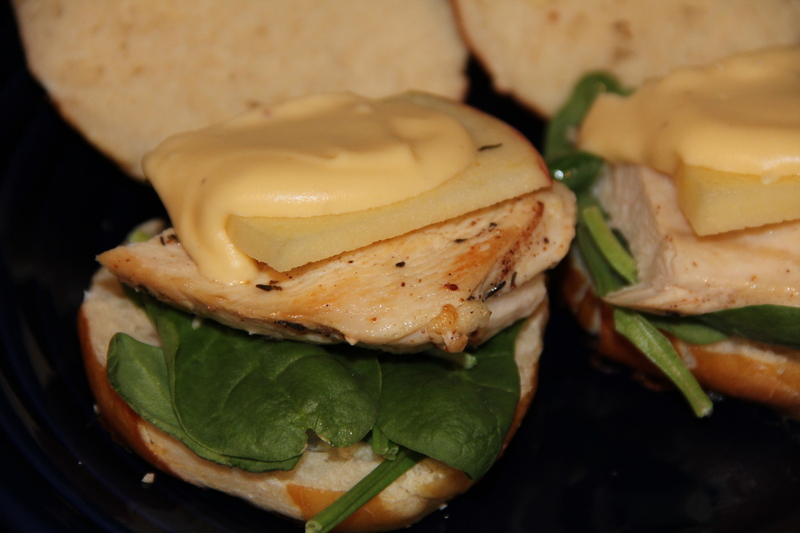 Slice rolls and add chicken spinach and sliced apples, spoon fondue on top and serve. 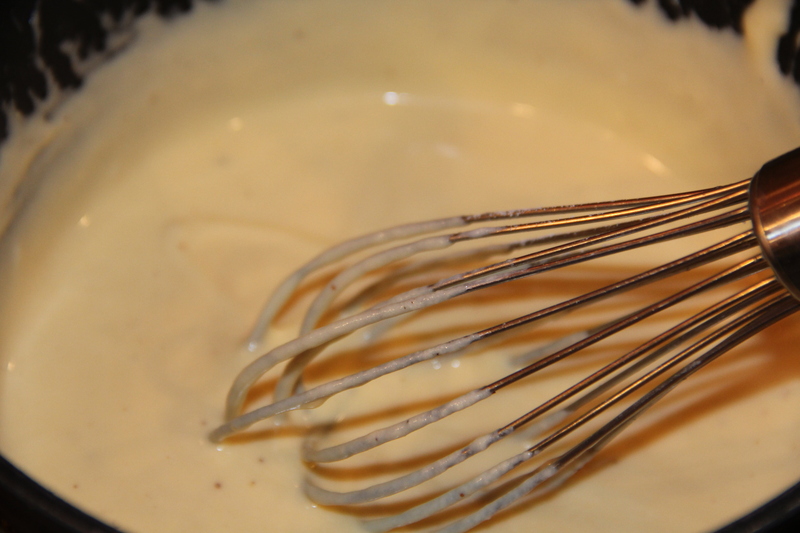 If fondue gets too thick, turn heat up and stir until melted. I think they were great without the chicken too, so they would be a good vegetarian option. 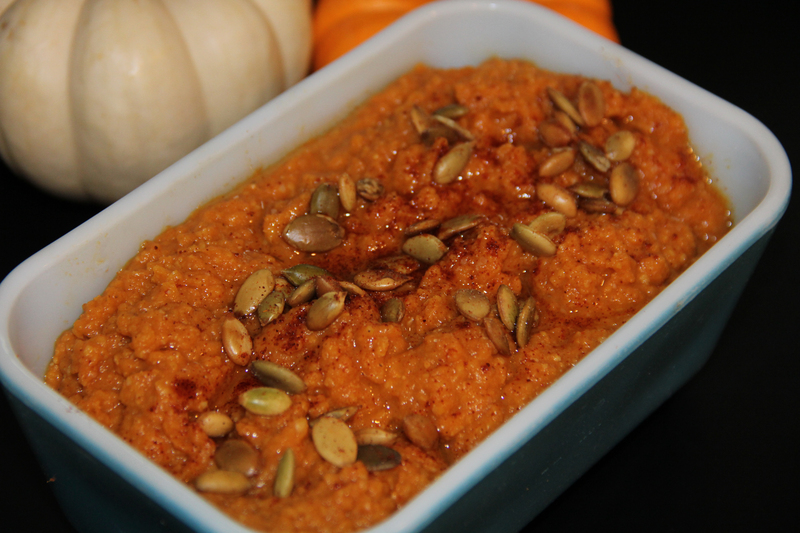 Spicy Pumpkin Hummus …..with Beer! 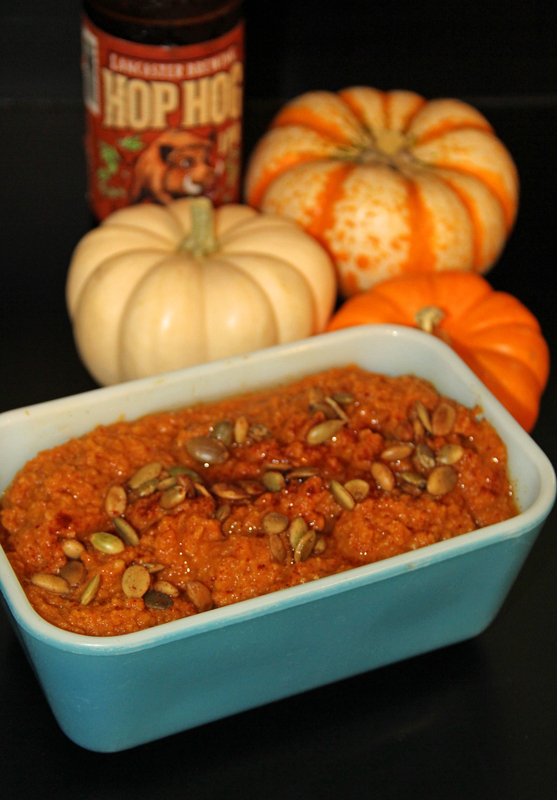 Yes another pumpkin recipe, gotta get them in while I can. 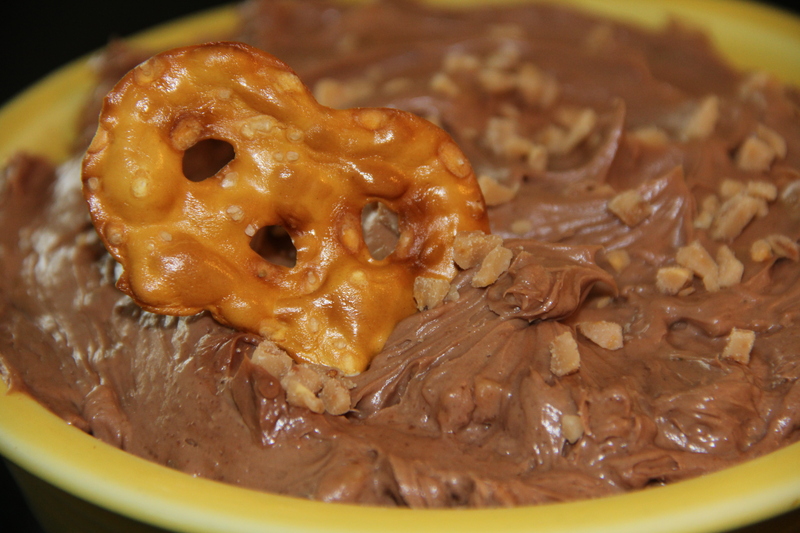 This one is a spicy earthy dip perfect on Pretzel Crisps or Pita Chips. 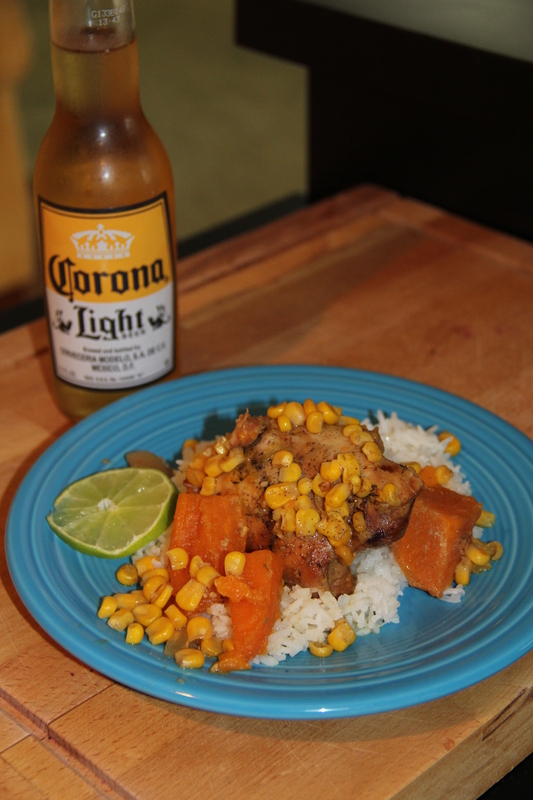 Beer can be omitted just add more olive oil., or try your favorite style instead, stout, pumpkin beer etc..)Bring this to your next fall gathering. Combine all ingredients except pepitas in a food processor. 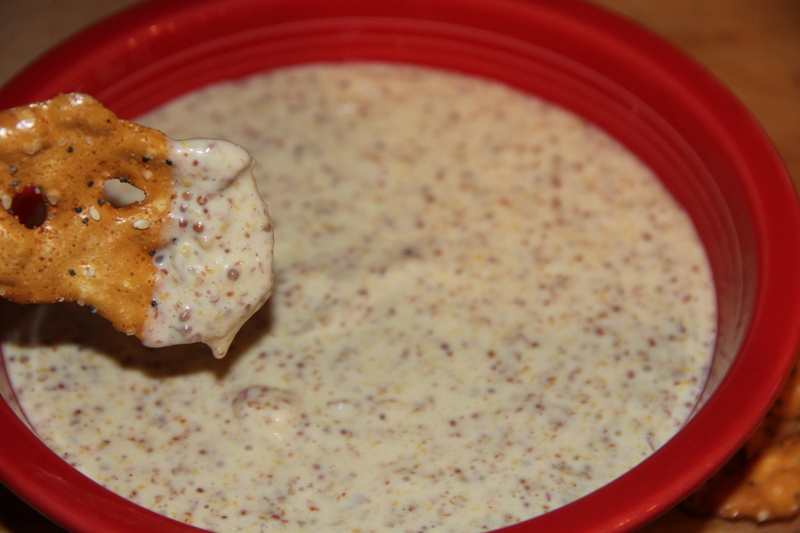 Whirl until smooth, taste, add salt or olive oil if necessary. Pour into serving bowl, top with 2 T olive oil, pepitas and a sprinkle of chipotle chili powder. I thought perfect, now that the olympics are over, I needed something to do. 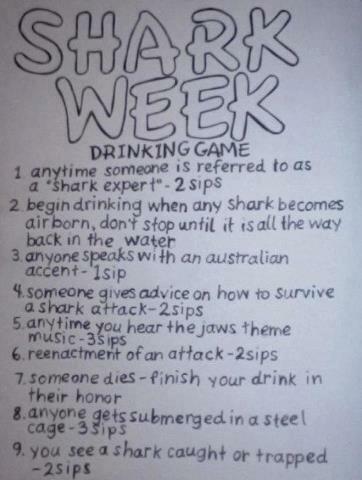 Shark Week is starting today. Now I just need a drink to accompany it. I took the traditional Snake Bite (CIder and Lager mixed) and tweaked to fit the theme. 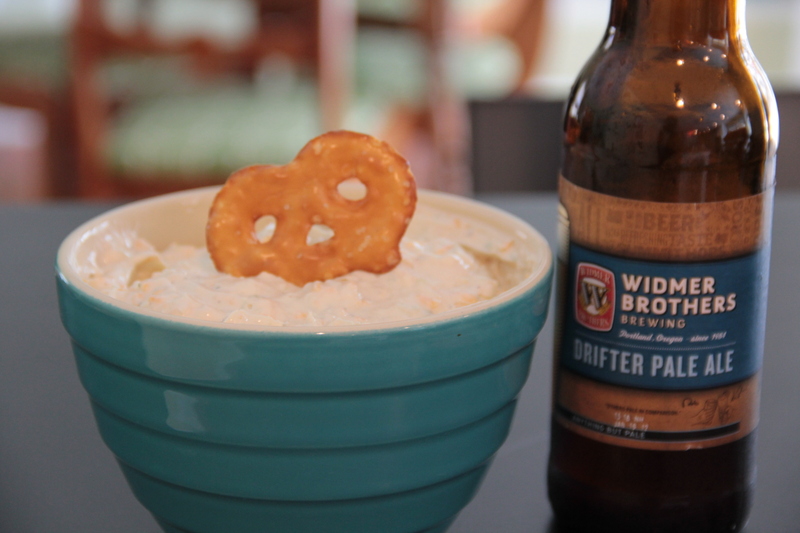 Take 1/2 bottle hard cider and a 1/2 a bottle of Beer (Lager) Pour into a pint glass. 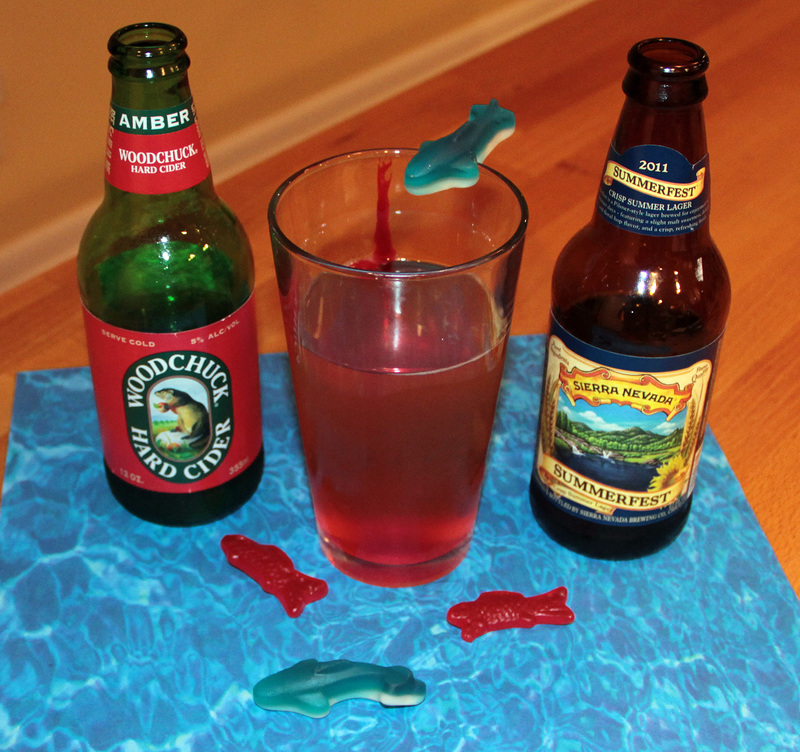 Take a gummy shark (they have them for $1 at 7-11s)and cut a small slit horizontally across the belly. 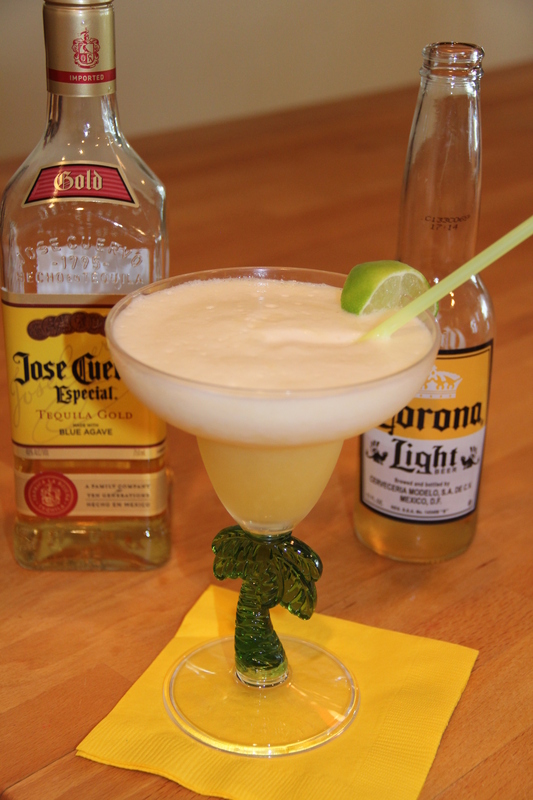 Place on the rim of the glass. Then if you want to go a step further and who doesn’t take red food coloring and drip about 3 drops down the side of the glass. 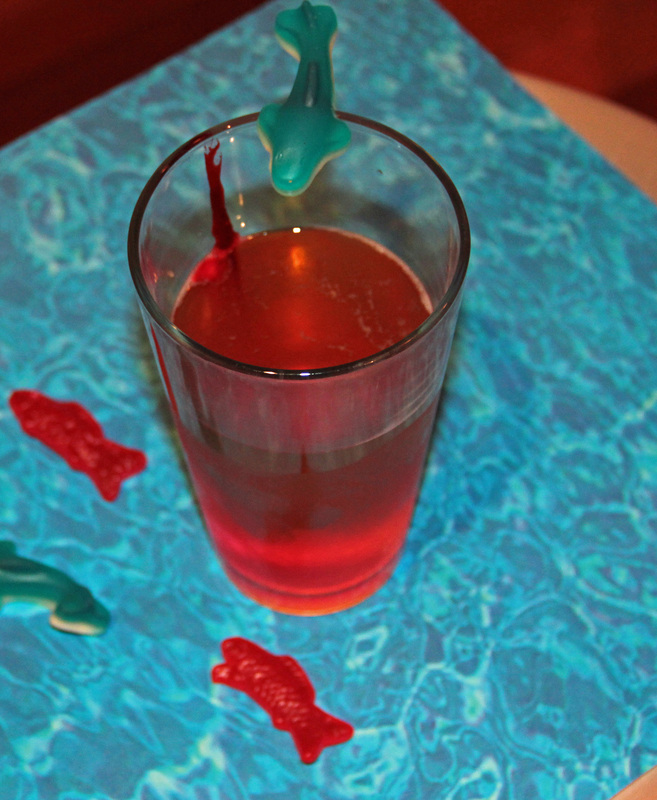 The food coloring will gradually turn the drink red, like blood. 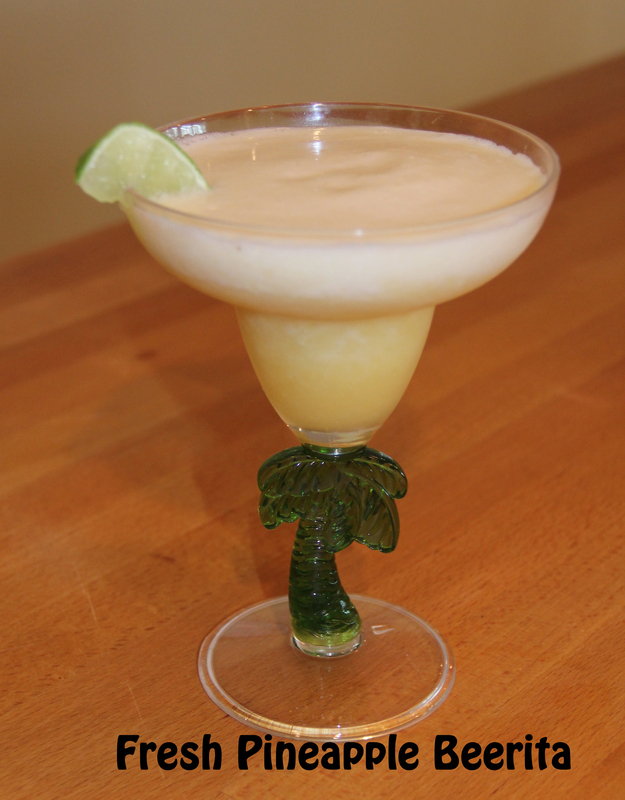 Mocktail version:Try it with Apple Juice and Sprite or Ginger Ale for the kids. 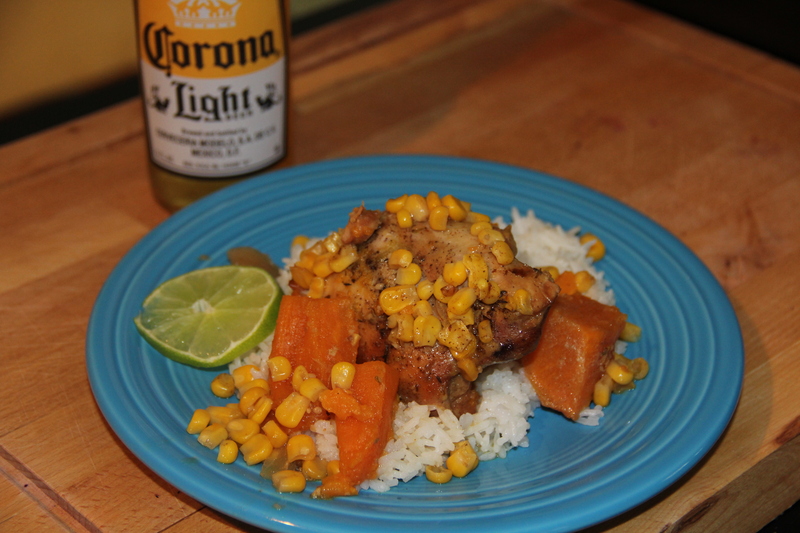 You should always use your skills to help charity, mine happen to be eating and drinking beer. 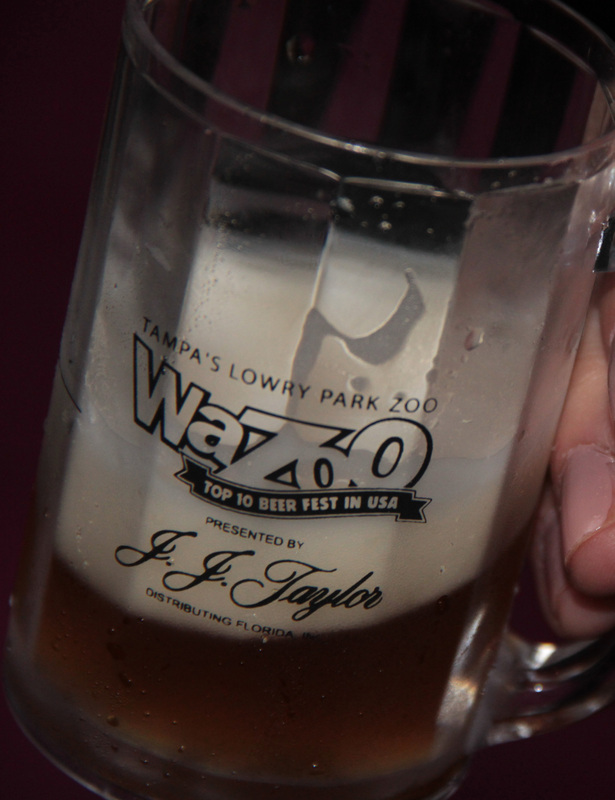 So a perfect way for me to help out is Lowry Park Zoo’s Annual WaZoo. A beer festival to help raise money for the zoo. 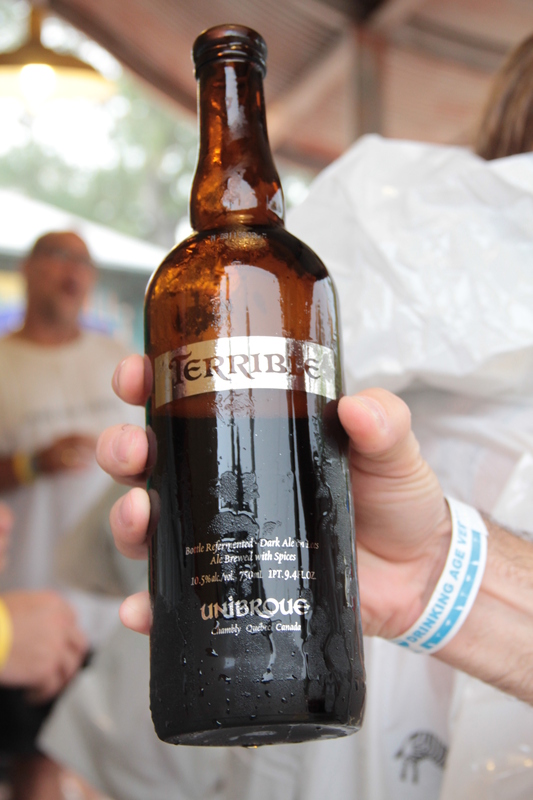 Sponsored by our local beer distributor, J. J. Taylor distributing, among others, this is one of the largest beer festivals in our area, with more than 250 varieties to try as well as food from local restaurants. 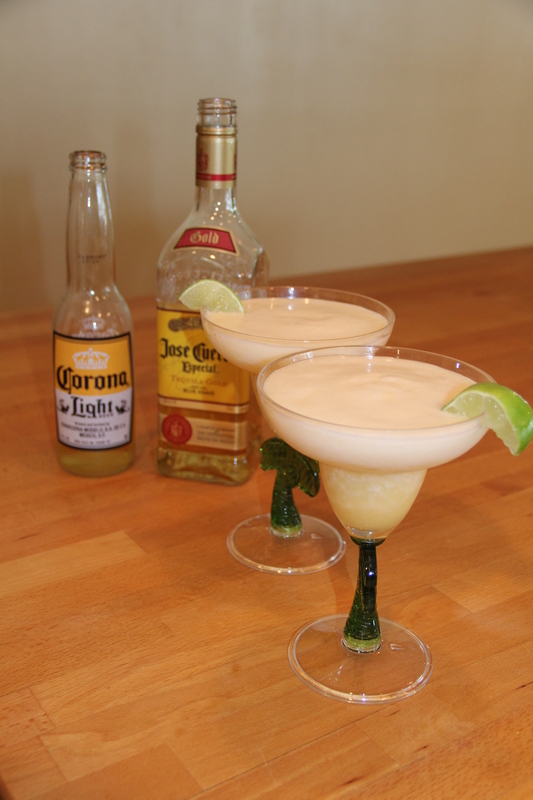 Sounds perfect right?, Well add summer tropical weather to an outdoor event and the outcome can be dicey. I still don’t know why Florida based organizations try to put events on here in the summer, it’s hot, and it rains, a lot. We had a similar problem a couple of weeks ago at the Back to the 80’s Pub Crawl for The Family Network for Disabilities, another monsoon and no back up rain plan. Oh well it’s for charity, and there is beer, life goes on. The doors opened at 6:45 for VIP tickets, the line was in a word, long. Check in went smoothly but at about 6:55 the skies opened up. So just as everyone was entering, there was lightning, thunder and torrential rain. The beer booths were abandoned, people were huddling under any shelter they could find, and tents were being blown over. 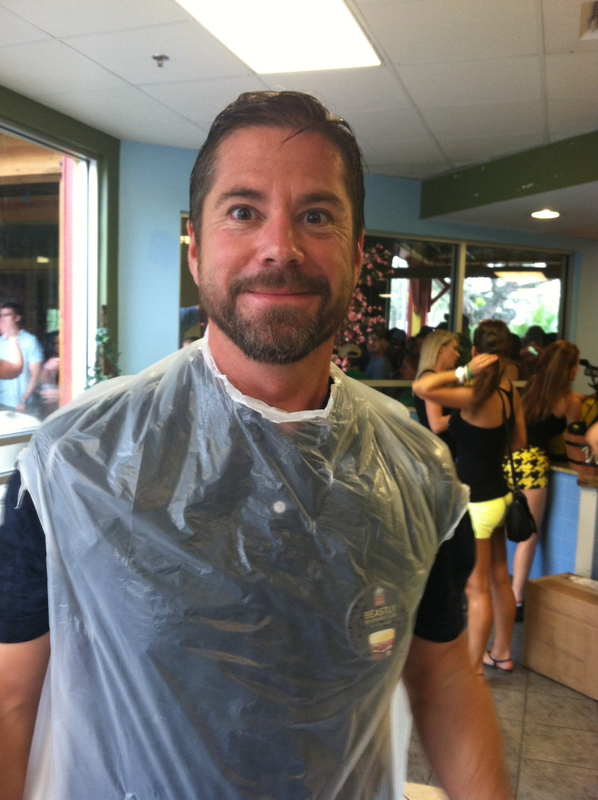 A smart patron opened up a garbage can and pulled out a roll of garbage bags, we followed his lead and made home made rain ponchos from the clear bags, beer drinkers are crafty. By the way mine was much more fashionable and even had a matching hat. We had VIP passes which meant there was an air conditioned shelter filled with food and beer waiting for us, we just had to get there, too bad it was the furthest point from the entrance. We weaved through the crowd in our homemade rain gear, clutching our tiny tasting mugs. 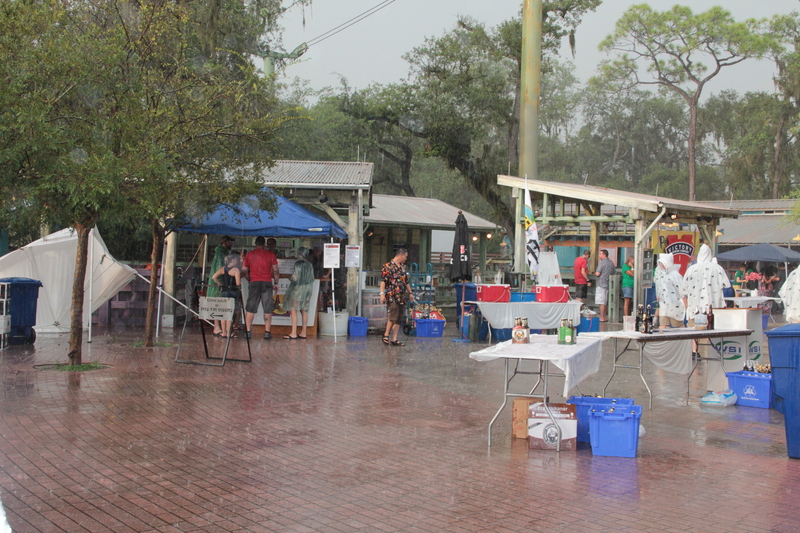 But wait did I see a sign for Dogfish Head 120 min IPA on tap, Whats a little more rain?, I can wait in that line. We did, and savored our baby mug of the rare and delicious brew, I have only had it once before on tap, and it was probably good that a little rain got in my mug because this beer comes in at almost 20% ABV. We ducked and covered in kiddy land to finish it and it was a lucky break for us, one of the volunteers for Unibroue Brewery was giving out rain ponchos, which were much more fashionable and practical than our garbage bag tunics. Also he was having trouble opening the bottle of Terrible, it had a cork like a champagne bottle. Champagne is my specialty, I can open those in my sleep. So after several strong men tried, I easily popped the cork, and was fortunate enough to get a sample of this specialty brew. Normally I am not a fan of these types of Belgium styled Abby beers, but I had never had this one before, it was dark and delicious and 10.5 % ABV. So now the rain isn’t bothering me so much. We decided to check out a few more beers in the kiddy section, stopped at Beef O’ Brady’s booth and shared a mini cheeseburger under a small hand-held umbrella, very romantic. We finally made our way to the covered shelter in the Beastly Beverage Club sponsored by Blue Moon. 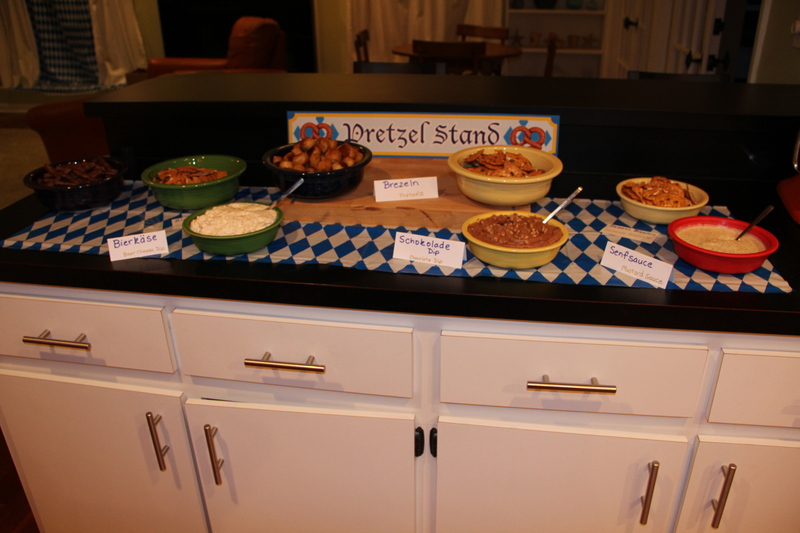 There was food and Blue Moon beer, as well as a band, air conditioning and bathrooms. 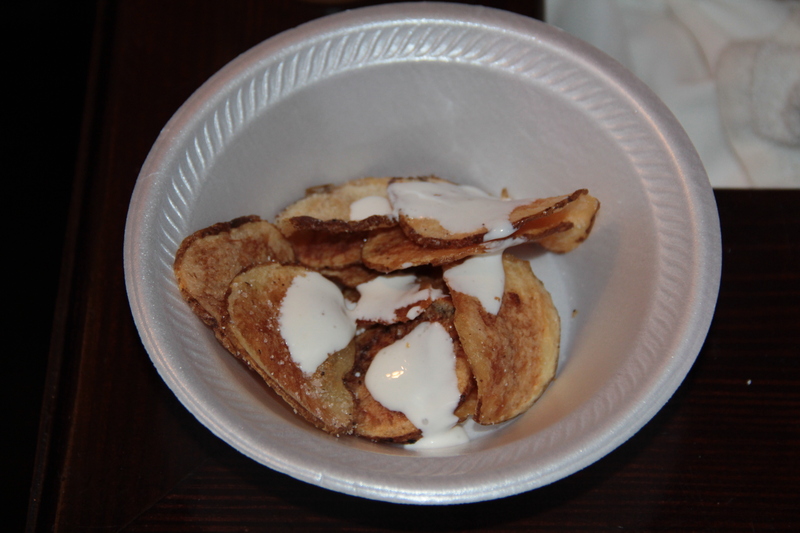 The highlight was Datz’s homemade chips with blue cheese dressing. This is a local restaurant with amazing food and beer selections. We had also gotten wristbands into the J. J. Taylor Distributing’s private room which was sponsored by Sierra Nevada. This was at the back of the Beastly Beverage Club and had views of giraffes, elephants and other wildlife. 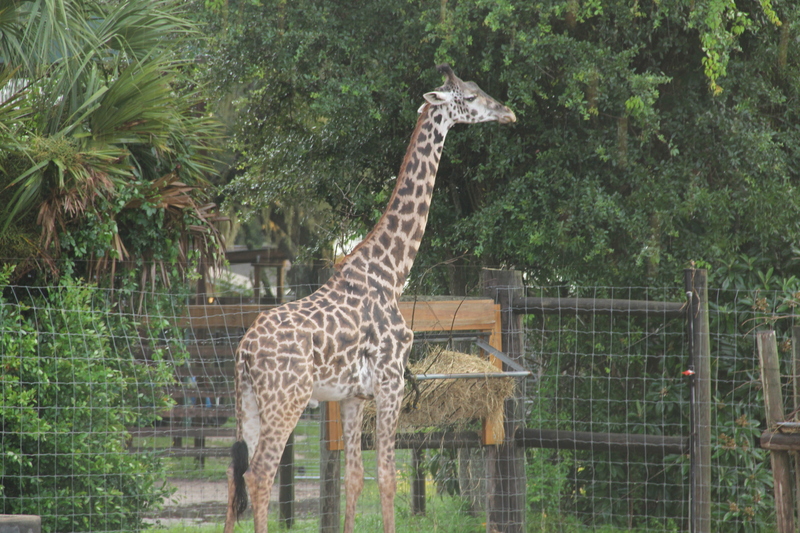 We each had a full pour of Torpedo IPA enjoyed it with the giraffes, I also tried their Kellerweiss and Summerfest. 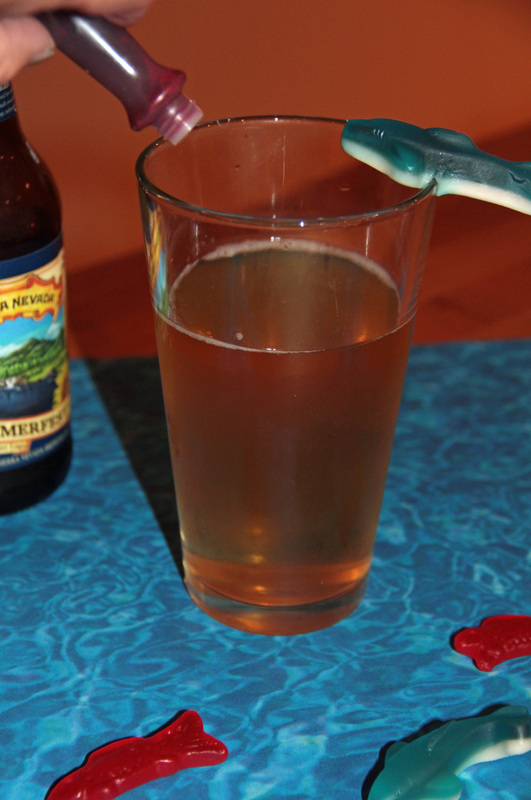 Sierra Nevada will always have a special place in my heart, their pale ale was my first foray into hoppy beer. Before that I would drink beer, but never really enjoyed it, after I tasted their pale ale, I wanted more and more hops, sought out craft beers, and turned into the hop head I am today. The rain had let up so back to the main festival, it was crowded but not too bad and all the volunteers and vendors were back at their stations. We tried a home-brewed Pale Ale from Special Hoperations a local home-brew club, it was fantastic, they promised their IPA would be on in 15 minutes and would be even better, unfortunately that was not true.I found the IPA flat and disappointing, but the Pale Ale was one of the most memorable beers of the night. 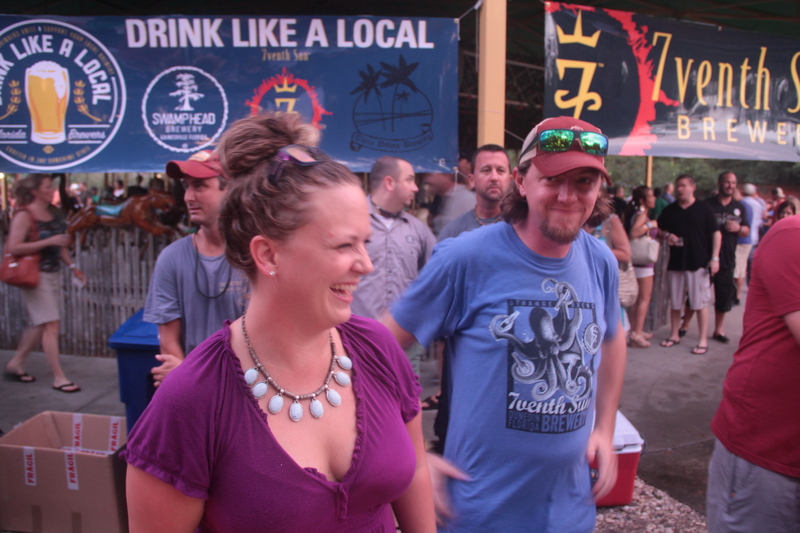 Also at the event was our hometown brewery, Seventh Sun, always great and creative with their beers. The owners/brewers we there pouring the beers themselves. As it started to get dark I noticed there were no lights towards the front of the park, what I found out later was that the storm had caused the area to lose power and they were running on back up power and generators. Not so good with crowds of people drinking lots of beer and slippery surfaces. We sampled a couple more like Cigar City and Victory but then decided to call it a night. We made it to the entrance and got a free cab ride home from United Cab service, they offered a ride for free to any lodging or residence in Hillsborough county, very smart. There was a fantastic turn out, and hopefully they raised tons of money. All in all a fun night even with the minor glitches, but please let’s reschedule this for the spring or fall next year. It’s my new favorite holiday, IPA day, a day to celebrate my favorite style of beer, India Pale Ale. It’s not for everyone, it is somewhat bitter from the hops and can be strong, but it is also crisp, refreshing, and full of flavor. Think Sierra Nevada Pale Ale on steroids, and then you get where I am coming from. 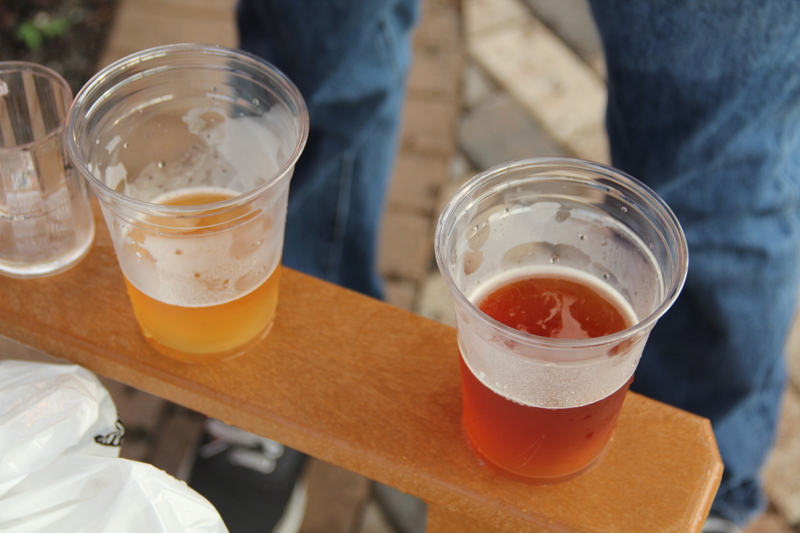 IPA’s are a favorite style of beer enthusiasts, and can be found at most independent breweries and craft beer bars. 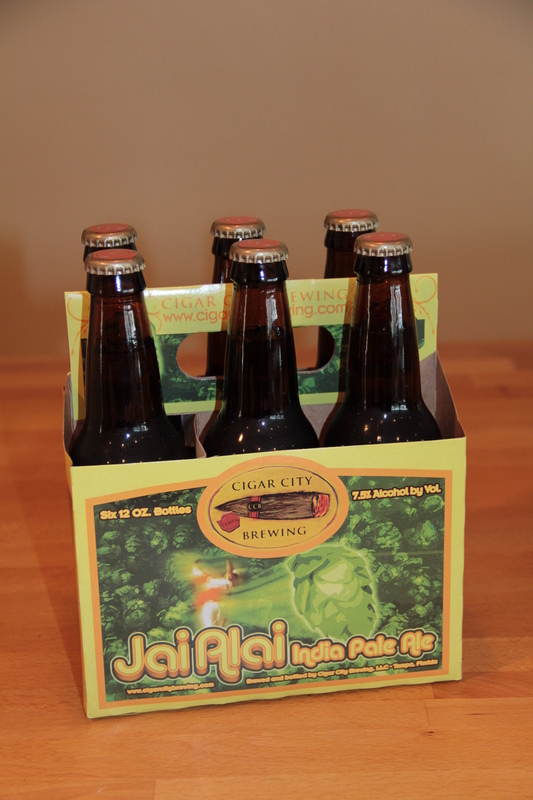 One of my local favorites is Cigar City’s Jai Alai IPA. 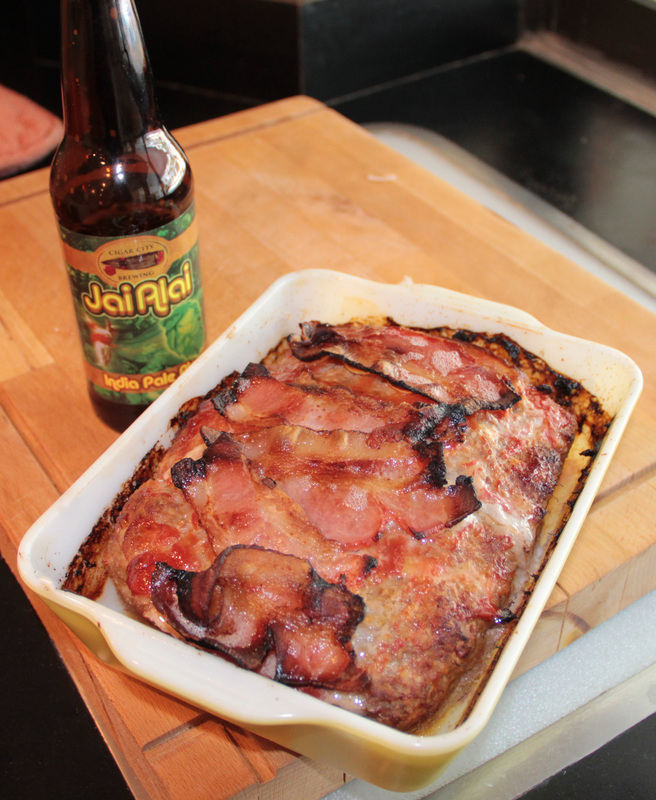 I used this beer in my celebratory dinner of meatloaf and gravy, but feel free to use your own local IPA, or better yet taste taste several until you find your favorite. Preheat over to 350, In a large bowl combine, ground meat, 1/2 beer, garlic, Worcestershire, 2T ketchup, egg, salt, pepper and panko. 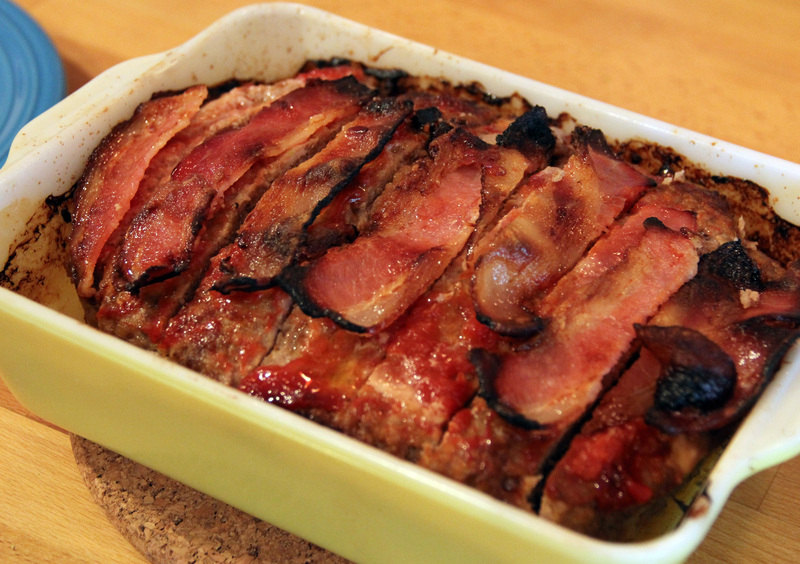 Form into a loaf and place in a baking dish. 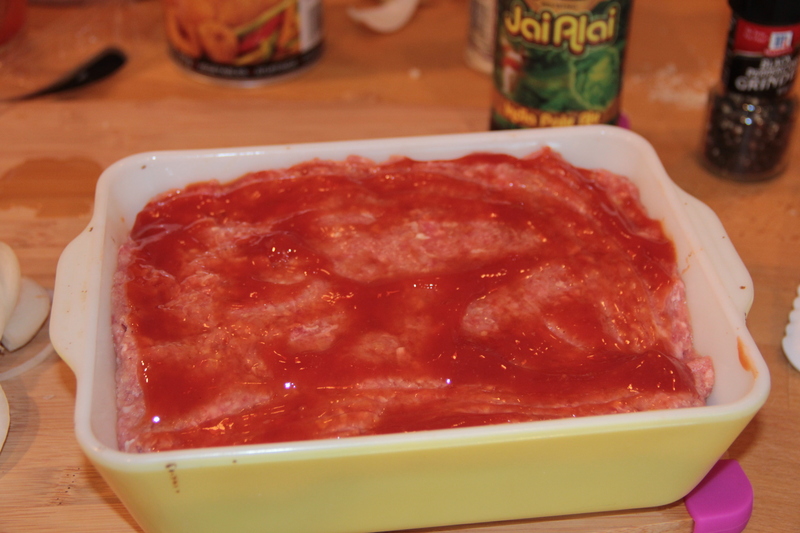 In a small bowl add 2T ketchup, 2T beer, and 1T honey mix and spoon over meatloaf. add 3 T butter to a large skillet, add onions and cook over medium heat for 20 minutes, then add mustard, Worcestershire, and flour, cook for 3 minutes on med/low. 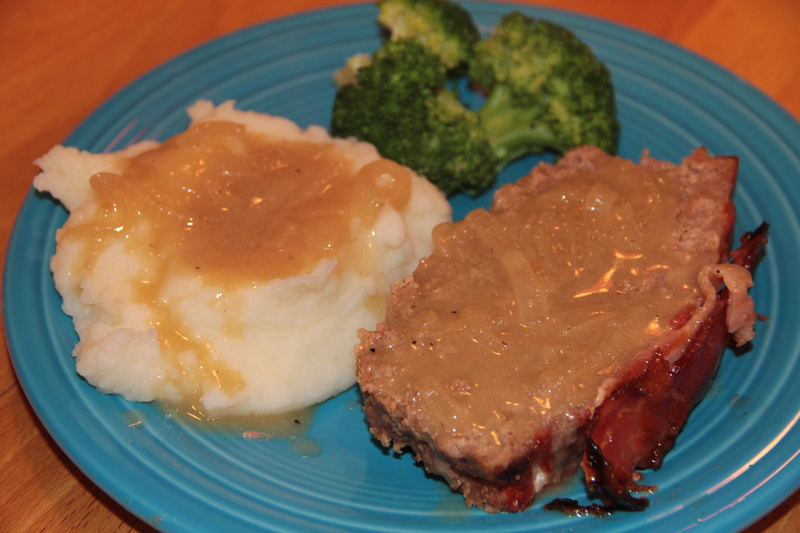 Add beer cook for 1 minute, then add water and cook over medium until gravy has thickened about 5 minutes, add 3T brown sugar and 1 T butter, whisk until incorporated and butter has melted, season with salt and pepper, serve over meatloaf and mashed potatoes.